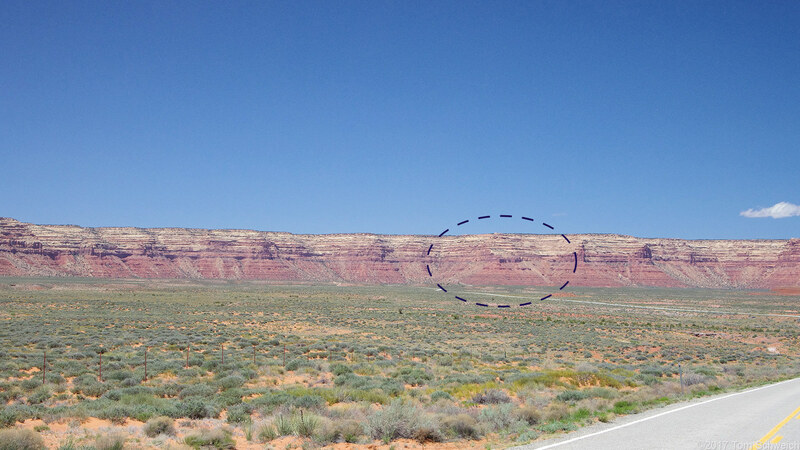 Photo: Cedar Mesa above Valley of the Gods, Moki Dugway circled. Eastern Mojave Vegetation Cedar Mesa above Valley of the Gods, Moki Dugway circled. Utah Highway 261, San Juan County, Utah: near US Hwy 163.